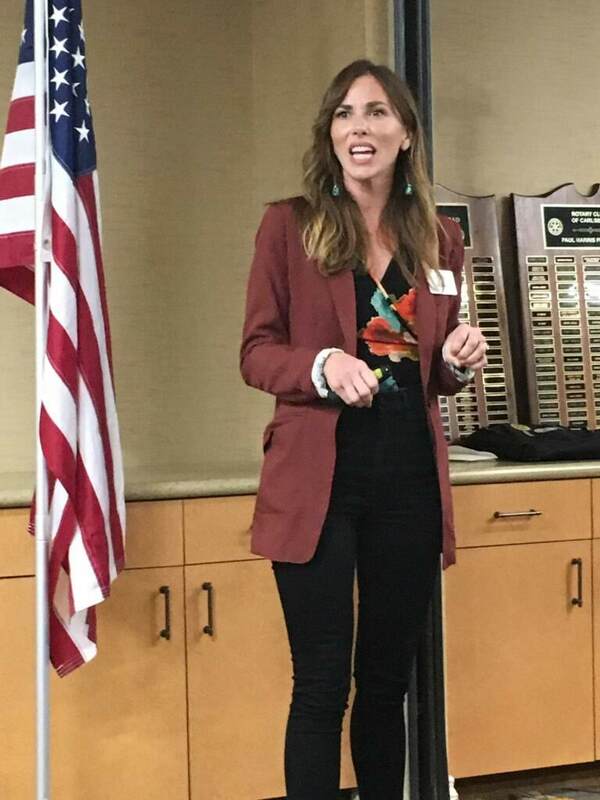 Within her presentation, we saw another example of what service organizations like Rotary are getting more and more in these times: opportunities to help the less fortunate among us, most notable homeless veterans, families and the hungry. She noted that 90% of the people Interfaith has housed since 2016 have stayed housed (including nearly 1,200 people housed last year), and that 500 people sleep in one of Interfaith’s facilities or contracted housing locations nightly. They’ve also done things like their Volunteer Income Tax Assistance Program, a team of volunteer tax preparers that returned $3.47 million to low-income North County households in 2018. Interfaith works with a team of highly trained social workers, clinicians and other professionals to assist the many needs of the homeless, less fortunate, and hungry. Examples: their soup kitchen and food pantries feed hundreds daily; they work with veterans of the Afghanistan and Iraq wars to reintegrate them into the civilian workforce; they provide vocational and economic development training; and they work with troubled youth and potential gang members, sometimes on the streets, to get them back into school through Transitional Youth Academy – from which an amazing 98% of students enrolled in college in the past 10 years. All in all, it’s a wonderful grouping of services designed to pick up the fallen among us and help them return to solid housing and self-sufficient lives. Excellent presentation.